You can add the emojis through our Emoji Keyboard, type the emojis directly, using your computer’s emoji keyboard (details below), or you can copy and paste emojis that you find on the web. On October 30th 2018 we launched our built-in Emoji Keyboard to add emojis to your posts. Simply click on the 😀in the Post Editor and you are good to go! OS X has a built-in emoji keyboard, which makes it easy to find and add emojis to your posts. Windows 10 has a built-in emoji keyboard, which makes it easy to find and add emojis to your posts. Windows have added emoji support in Windows 8 and above. For older versions of Windows, you can copy-paste emojis from the links below. Remember that each platform will display emojis slightly differently, and some older platforms may not be able to show all emojis. 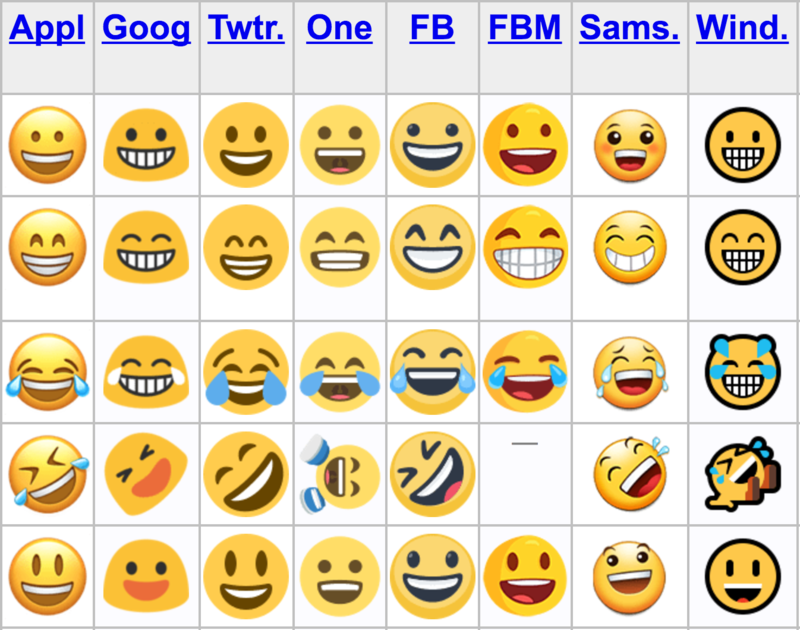 Use the official Unicode cheat sheet for how emojis are displayed on Facebook, Twitter, Apple, and different phones etc!